Hays Creek, located near Red Stone, feeds the Crystal River. The water levels for next year will depend greatly on the snowpack. Horsetooth Reservoir, in Ft. Collins, Colo., has seen decreased levels the past few years, which means there is less water in storage. Snowpack levels across the state are far below average. There are very few elements in life that everyone needs. Water, however is one of those elements. It is essential in nearly everything that people need and use, and agriculture is no exception. Water issues in Colorado date back more than 100 years. 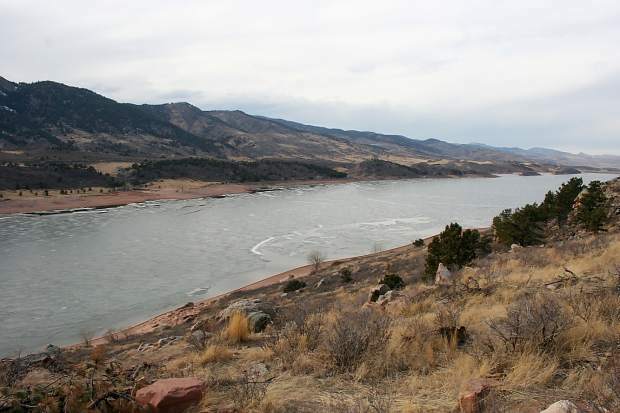 "The legal right to divert and use water in Colorado has been deliberated and defined from before the time of statehood in 1876," according to The Water Information Program. 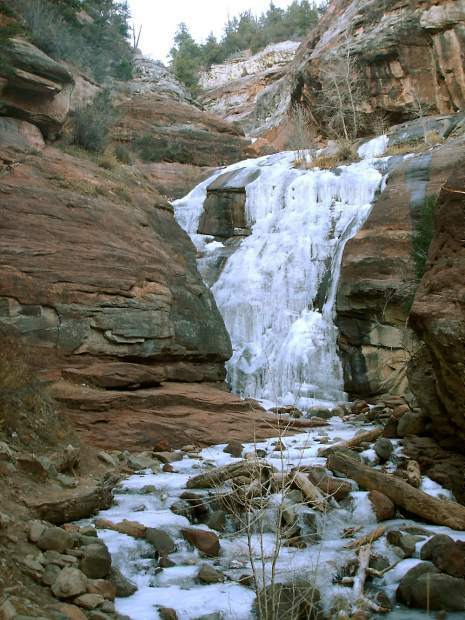 The Colorado constitution defines water using prior appropriate, also known as first in time, first in right. This means that those who hold senior water rights, which are generally surface rights, receive water before those with junior rights, which are generally wells. 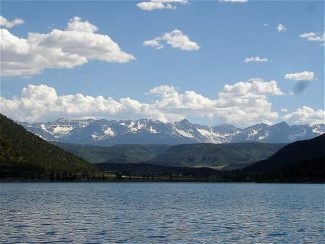 "This Colorado water doctrine has become one of the legal foundations upon which water is governed, managed and distributed in Colorado," according to the WIP. In Colorado, a large percentage of water is used for agriculture. Roughly 3 million acres of land are irrigated in the state, and farmers have worked to reduce their water use through technology and precision. 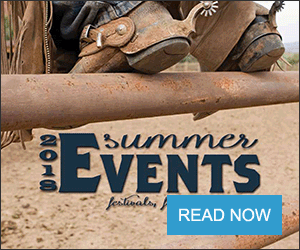 "Over 90 percent of water consumed through human activities in Colorado occurs in agriculture. This is typical of arid and semi-arid western states. Agricultural water use in Colorado is not expected to increase, and is likely to decrease slightly in coming decades as a result of increased irrigation efficiencies and additional agricultural-to-urban water transfers," said Doug Kenney, Director of the Natural Resources Law Center's Western Water Policy Program. Farmers and ranchers have worked to reduce their water usage, through several different ways. Traditionally, farmers used flood irrigation to water their crops. Since that time, many farmer first adopted sideroll irrigation, which has sense given way to center pivot irrigation. Some producers are also using drip irrigation. This also allowed producers to be more efficient. 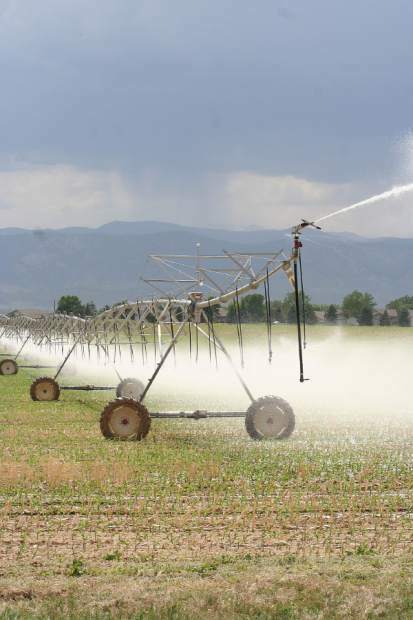 "The type of irrigation system and how it is managed does determine the efficiency of water use, which is the percentage of applied water that is used by the plant," according to the Colorado Water Institute, which is part of Colorado State University. It continued, "Consequently, drip irrigation systems actually require less water than sprinkler systems, which typically require less water than conventional flood methods of irrigation. Considering that a buried drip irrigation system might be 95 percent efficient, a center-pivot sprinkler system might be 85 percent efficient, and a well-managed flood system might be 50 percent efficient, the difference in gross seasonal water required can be 3 acre feet per acre or more." These practices have allowed farmers and ranchers to be more efficient, which is especially important in years like this last year, where there is a drought. Center-pivots have allowed producers to have more uniformity in their application as well. "Uniformity is the ability of an irrigation system to apply water evenly across the soil surface, achieving a uniform depth of application. If an irrigation system has poor uniformity, some plants won't get enough water, some will get too much, and excessive water will leach below the root zone and be lost. In order to adequately irrigate all plants in a field with an irrigation system that has poor uniformity, excess water must be applied," according to the CWI. Different tillage practices have also allowed farmers to help retain water in the soil. "Conservation or reduced tillage refers to the practice that supports continuous crop production on a field with at least 30 percent residue from the previous crop on the soil surface. No-Till and ridge tillage strategies are also considered conservation practices. 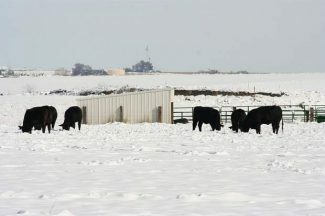 Concerns related to irrigation uniformity have discouraged many producers from adopting conservation tillage practices, however they are known to reduce runoff, increase infiltration and snow capture and reduce evaporation," stated the CWI. Each year, more farmers are adopting this practice. Reducing runoff is a big benefit to producers, because it means the water is being used more effectively, and they will not need to use as much water. Drought is always a huge concern for those in agriculture, as it greatly affects the ability of a crop to survive, whether it is irrigated or dryland. Snowfall during the winter months affects how much water is available for irrigation throughout the rest of the year. 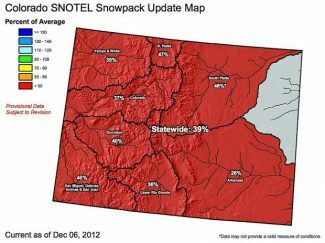 As of December 6, snowpack in Colorado is only at 41 percent of average. The lowest area is the Arkansas River Valley, with just 26 percent. This area covers Southeastern Colorado. The highest in the state is the South Platte, which stands at 53 percent. This is Northern Colorado. According to the National Oceanic and Atmospheric Administration, drought continues to be a problem not just in Colorado, but across the country. This year from January-November is the driest Colorado has even been, with just 9.52-inches of precipitation, which is 5.57-inches below the state's historical average. The neighboring states of Wyoming and Nebraska have also experienced their driest years to date. This year also marks the warmest year to date. According to the NOAA, "The January-November period was the warmest first 11 months of any year on record for the contiguous United States, and for the entire year, 2012 will most likely surpass the current record (1998, 54.3 degrees Fahrenheit) as the warmest year for the nation." This combination of warm weather and little precipitation put stress on crop and pasture land, which created reduced yields. Many dryland farmers were forced to cut their crops for silage, and even some irrigated farmers had to harvest early. Nearly all crop producers saw some sort of decline in production. Winter wheat producers rely on precipitation in the fall to get their crop started, and some areas were so dry the wheat never surfaced. "Winter wheat emergence reached 94 percent last week compared with 98 percent for the 5-year average. 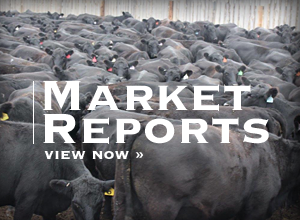 The crop was rated in mostly fair to poor condition," stated the Nov. 26 Colorado Crop Progress Report, Colorado Field Office. Water will continue to be an issue for those in agriculture, and the snowpack that occurs during the winter will greatly affect their production for the next year. Without water, agriculture struggles. All water and water related issues are overseen by the Colorado Water Conservation Board (CWCB), a division of the Department of Natural Resources. The State Engineer's office maintains records on usage, streamflows and diversions. Currently, more than 10 million acre feet of water leave the state every year, with nearly half of that coming from the main stem of the Colorado River west of Grand Junction, according to the WIP.